We always to do candy-free valentines - so many kids have food allergies and the ones that don't really don't need the sugar anyway! 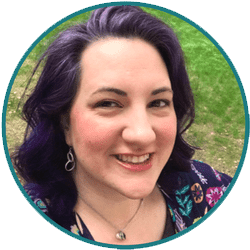 Instead of giving away non-candy trinkets, though, we always try to think of something kids would actually want to keep (and that parents won't hate me for giving to their kid). 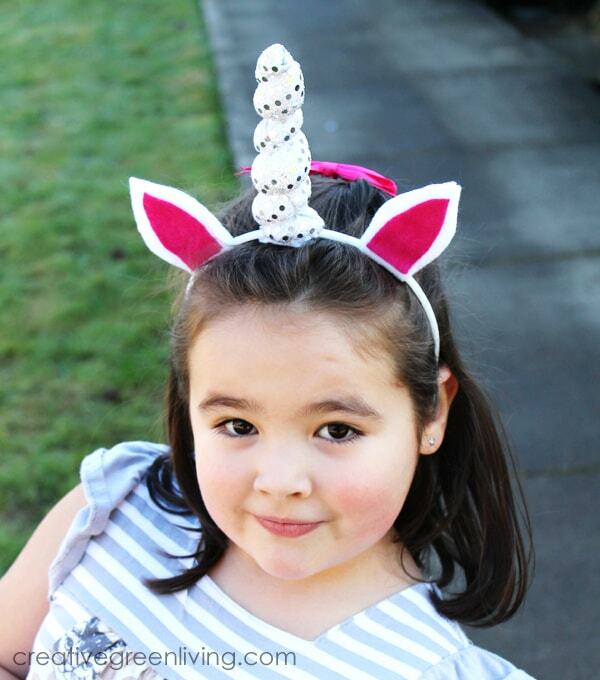 So far everyone who has seen these headbands has loved them - girls, boys and adults alike! 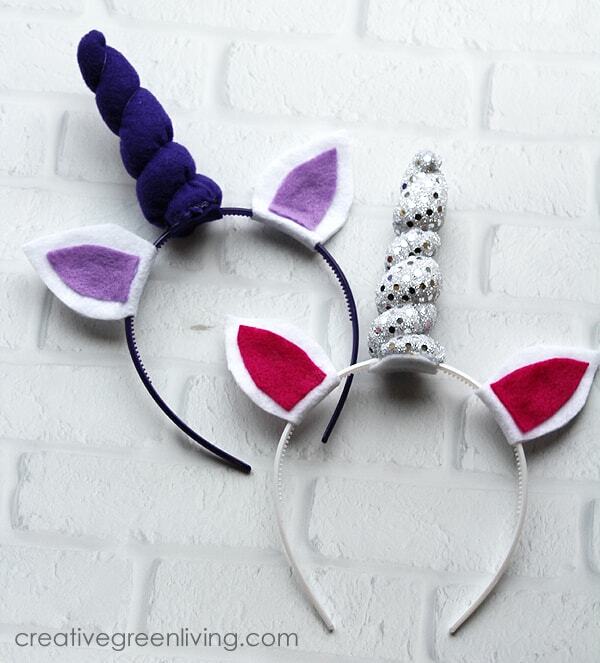 I think they are sure to be a hit for Valentine's day, unicorn birthday parties, birthday gifts, Halloween or a "just because" present for your favorite unicorn lover. 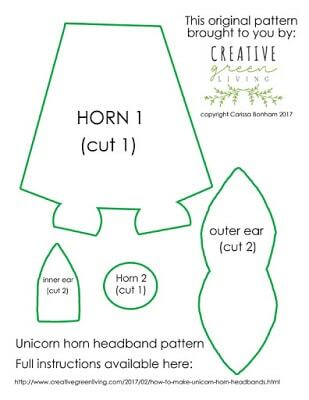 Download the Free Printable Pattern. 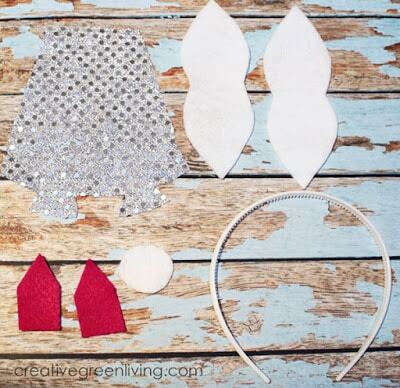 Cut out the pattern pieces in the fabric of your choice. 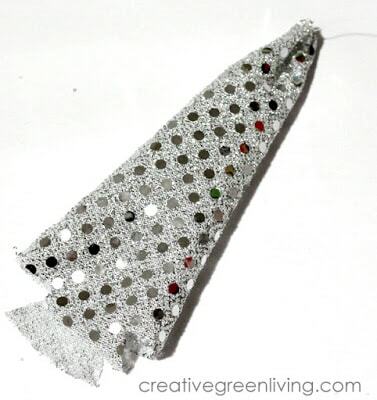 Run a thin strip of hot glue down the long side of the horn piece and fold in half to join with the other long side. Allow to cool. 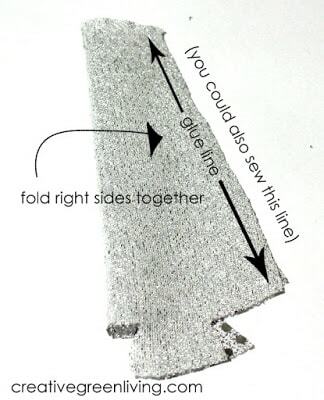 (Alternatively, you could sew this line, right sides together, instead of using glue). Turn the horn right side out. 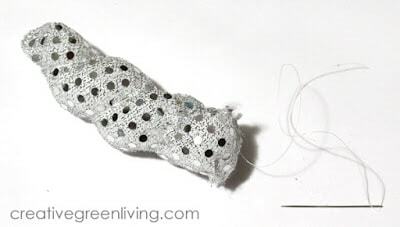 Use the needle and a long thread to stitch the tip closed (don't clip the thread yet!). Stuff the horn with a small handful of poly-fill. Use the long thread to wrap around the outside of the horn with medium tension to make the spiral. Anchor the thread at the bottom of the horn and fold the half circles in and whip stitch shut. 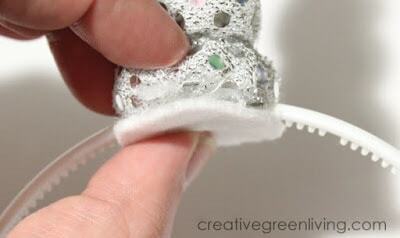 Tie off your thread and clip the end. Using hot glue, sandwich the headband between the bottom of your assembled horn and the round "Horn 2" piece. Allow to cool. Position ears where you would like them on the headband. 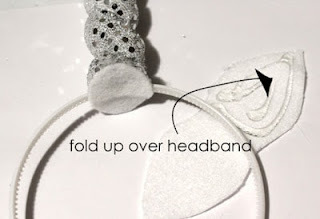 Put hot glue on one half of the ear and fold in half around the headband (being careful not to burn yourself!). 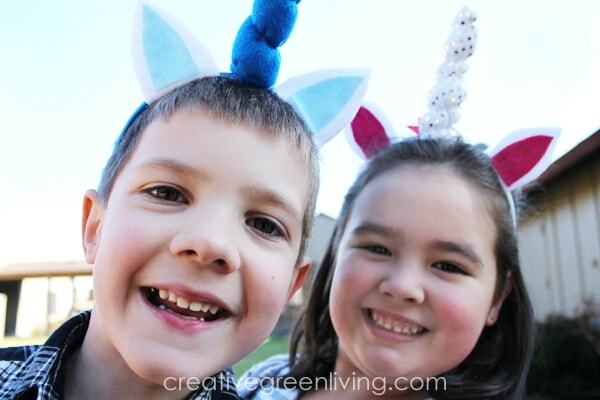 I hope you love wearing your new unicorn headband as much as my kids do! 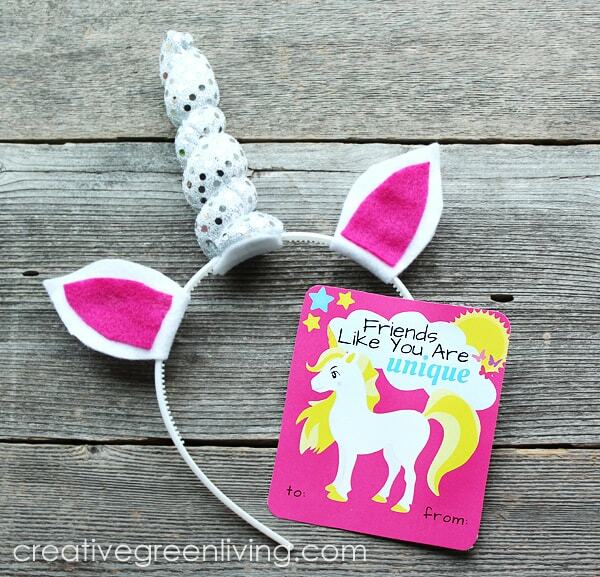 Looking for printable unicorn valentines to go with your horn? I had these printable valentines designed just for you guys so you could pair them up with your unicorn headbands if you wanted to! 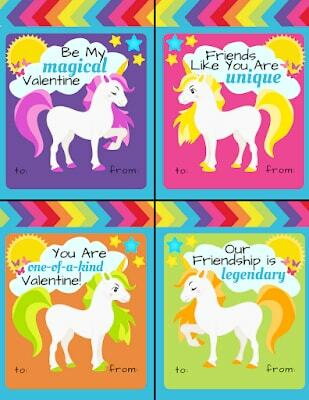 CLICK HERE to download these printable unicorn valentines for free! Looking for a unicorn valentine box? 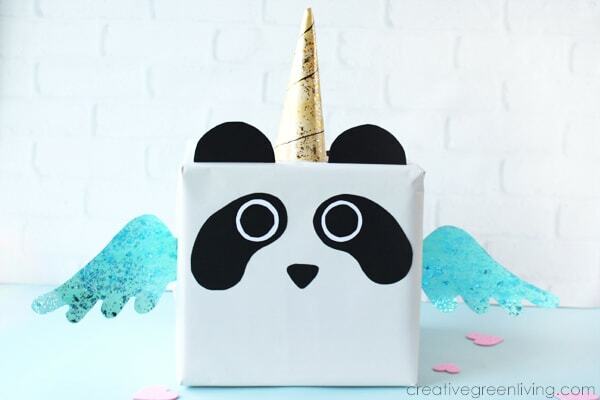 I have a free printable template for a pandacorn (panda unicorn) valentine box. Get the Pandacorn Valentine Box Tutorial and Template here. 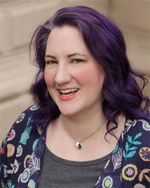 Genius, Carissa! My 6yr old granddaughter would love this!! Thanks, Janis! Every kid that has seen them so far in real life has been obsessed with them! Thank you so much for creating this pattern. Made my life so much easier preparing for my daugher's unicorn themed kids party.